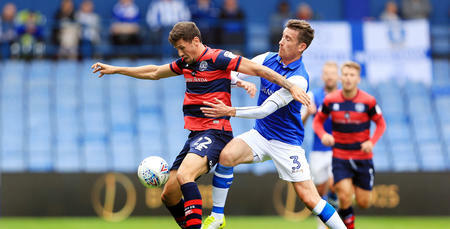 QUEENS Park Rangers' fine form continued with a 3-0 victory over Sheffield Wednesday at Loftus Road this evening. Tomer Hemed’s second goal in two games, a Luke Freeman header and first goal for Nahki Wells secured the R’s all three points against a Sheffield Wednesday side who had previously lost just two of their last 10 games. 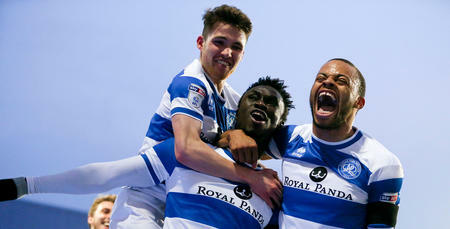 The result meant QPR climbed six places into 11th in the Championship and overtook their opponents Wednesday, who dropped to 14th. Steve McClaren opted to play an unchanged starting XI following the impressive win at Portman Road on Saturday. Rangers lined up with Joe Lumley in goal and a back four of Angel Rangel, Toni Leistner, Joel Lynch and Jake Bidwell. Geoff Cameron and Massimo Luongo were in central midfield, flanked by Freeman and Pawel Wszolek. This allowed Ebere Eze to play in his preferred position of just behind the lone forward Hemed. Owls boss Jos Luhukay made five changes following defeat against Middlesbrough at the weekend meaning recalls for Ashley Baker, Daniel Pudil, Morgan Fox, Josh Onomah and Atdhe Nuhiu. 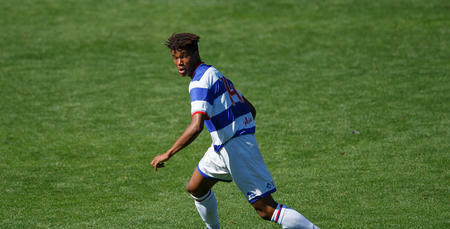 The first opportunity of the match fell to QPR. Barry Bannan lost the ball in the middle of the park, which allowed Eze to break forward. The England Under-20 international then played a lovely pass to the onrushing Hemed who was through one-on-one, but Cameron Dawson denied him with a smart low save with his feet. In the 22nd minute, Wednesday went close to taking the lead. A good spell of possession led to a chance for Bannan from 25-yards out who struck his effort well and just wide of Lumley’s post. A few moments later the Owls fashioned another chance although this one came from a loose pass, giving the ball to Lucas Joao to feed Nuhiu who forced Lumley into a smart save. Wednesday had perhaps performed slightly stronger in the opening 30 minutes but QPR went close again when Hemed’s deflected effort looped just over the bar following a nicely-worked move. And five minutes later McClaren’s side took the lead. Slight confusion in Wednesday’s midfield saw the ball drop to Luongo who poked it towards Wzsolek. The Pole then struck a fierce left-footed shot that was parried by Dawson but straight into the path of Hemed, who headed home. The goal seemed to completely relax QPR with the R’s now playing some attractive football. A move involving Eze and Wzsolek saw the latter having a shot well blocked by Morgan Fox from 12-yards out. After beginning the game brightly our visitors were now having to do a lot of defending and were in desperate need of the half-time whistle. However, despite a lot of pressure, QPR couldn’t quite create any further opportunities with the referee calling time on the first 45 minutes. Buoyed by their confident end to the half, Rangers began the second period on the front foot with Hemed hitting the target from a tight angle. But following a couple of scrambles in the box, the South Yorkshire outfit began to fight their way back into the game and almost equalised when Joao’s delicate header hit the post. And that was perhaps the bit of luck QPR needed as two minutes later it was 2-0 to the Hoops! Rangers advanced forward and Eze found some space on the edge of the box. The forward picked out Wszolek on the wing and his accurate cross was headed home by Freeman. The midfielder has probably not scored too many headers in his career, but this was a fine effort. In the 63rd minute, McClaren decided to swap his forwards, bringing on Wells for goalscorer Hemed. Wednesday, who had now upped the tempo as they searched for a way back into the game, went close in the 68th minute when the dangerous Adam Reach unleashed a dipping effort from outside the box that went just wide of the post. The contest was now end-to-end with QPR looking to close it with a third. Wszolek, who was lively all night, forced Dawson into a good save with an accurate drive, while Onomah should have done better when Bannan found him following a strong run from the halfway line. Luhukay's side continued to threaten and Lumley was again called into action in the 78th minute when a ball over the top was latched on to by Nuhiu, with the forward drawing the R’s number one into a clever save. However, the game was sealed with seven minutes to spare. A crunching tackle by Bidwell in the middle of the park allowed the ball to break to Eze. He looked up and calmly passed the ball to Wells, whose early shot found the corner of the net. 3-0 and job done! Both Eze and Freeman then departed the field to a round of applause and QPR saw the game out well, keeping their third clean sheet in four games to end an enjoyable night in W12.